I finished up my 2 weeks of Frog-themed storytimes with the Storytime-To-Go program this week. There are quite a few cute picture books featuring frogs out there, so this is a fun theme to do. I started each section by introducing the topic, discussing a few fun facts about frogs, and talking about our letter-of-the-day, "Ff". Then we sang our story song and read our first story. I used a number of books throughout the 2-weeks, reading 2 or 3 to each group. In I Don't Want To Be A Frog by Dev Petty & Mike Boldt we meet a young frog who wants to be a cat, or a rabbit, or a pig, or an owl rather than a wet, slimy, bug-eating frog. His father tries to explain that he can't be any of those other animals, but it's the wolf who convinces him that being a frog isn't such a bad thing after all. In Ribbit! by Rodrigo Folgueira & Poly Bernatene a family of frogs is puzzled by a little pink pig who mysteriously shows up in their pond one morning, saying "Ribbit." They don't know what to think of this strange pig, and eventually consult the wise old beetle who suggests that maybe the little pig just wanted to make friends. But when they get back to the pond, the pig is gone. AH HA! by Jeff Mack is a simple story told with only the pictures and two words "Ah" and "Ha". The audience will catch on and join in, particularly those who know their letters and can recognize the different combinations. Keith Faulkner and Jonathan Lambert's version of The Wide-Mouthed Frog is a fun pop-up book with charming illustrations. However, I find it is too short, and kids are always disappointed that it isn't longer. I also found that very few of the kids really got the part about the frog making his mouth smaller. John Strejan's version of the same folk tale, I Love To Eat Bugs!, is also a pop-up book. This one features African animals, and I really like that it is longer than the Faulkner version. This version ends simply with the frog jumping away from the hungry crocodile, though I do wish that it had a larger and more dramatic pop-up for the ending. Little Green Frogs by Frances Barry is a unique book with pages that fold out instead of turning, forming the whole pond. The book shows the development of frogs from egg to tadpole to frog, with short and simple text, and is great for introducing metamorphosis to younger kids. Froggy Goes To The Library by Jonathan London and Frank Remkiewicz is the latest book in the Froggy series. 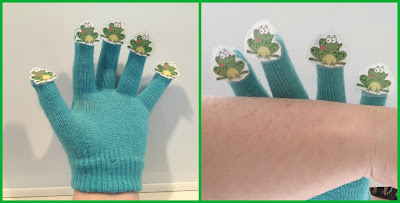 I'm partial to Froggy, plus I thought this would be a great way to plug the library, and reinforce appropriate library and storytime behavior. The kids can join in saying "Froogggyyyy" and "whaaat". Karma Wilson's A Frog In The Bog (illustrated by Joan Rankin) is a fun little story with lots of rhyming words and counting, plus the chance to say ick, ew, yuck, etc., every time the frog eats something we would find gross. In the end, we learn that half-sunk logs are not always what they seem! Jump! by Scott M. Fischer is another book with lots of rhyming words, repetition and sequencing. First we have a bug sleeping on a jug, until he sees a frog and he has to "Jump!" to get away from. Then, the frog has to "Jump!" to get away from the cat, and so on until at the end a shark has to "Jump!" to get away from the whale. Or did he? The kids can join in saying "Jump!" each time. Jump, Frog, Jump! by Robert Kalan & Bryan Barton is another simple story with the repeating line "Jump, Frog, Jump!" that the kids can join in saying each time the frog needs to escape capture, either by hungry predators or curious kids. The story also builds with each page, much like The House That Jack Built. The Caterpillar and the Polliwog by Jack Kent is the story of two unlikely friends who are each about to undergo an amazing change. Polliwog is at first disappointed that he doesn't change into a butterfly, but in the end he decides that he is happy to be a frog. Big Frog Can't Fit In by Mo Willems is a great pop-up and pull-tab book about a big, long-legged frog who is sad she can't fit into the book. If only she were smaller, or more bendable. But, her friends have an idea! This is a fun book, but I found that some of the pull-tabs were difficult to operate and were easily damaged. In addition, I supplemented these with a couple of non-fiction books, one to show the life-cycle of the frog with photographs of developing tadpoles and another to show some of the brightly colored poison dart frogs. I also had a photograph I found online of someone holding a handful of teeny-tiny baby frogs. For more ways to do this song, see my "Five Green & Speckled Frogs, Five Ways" post. 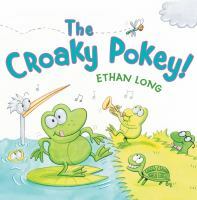 When we needed a lot of movement, we did the "Croaky Pokey", inspired by Ethan Long's book of the same name. 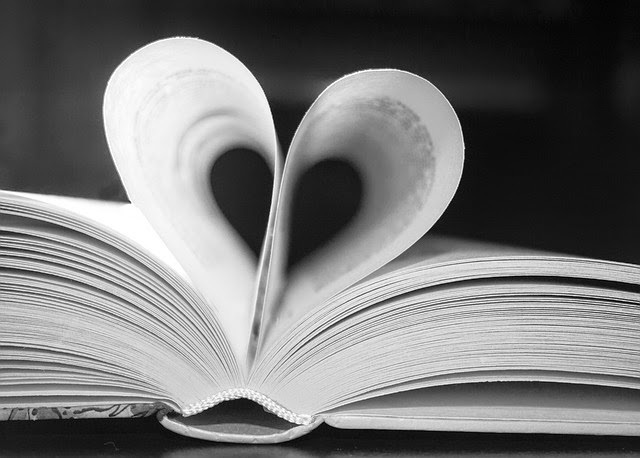 Sometimes we did it along with the book, and sometimes just on our own. The kids really seemed to enjoy this theme; I think because there are so many good books to choose from. The ones they seemed to like the most were I Don't Want To Be A Frog, Ribbit!, I Love To Eat Bugs, AH HA!, A Frog In The Bog, and Froggy Goes To The Library. After one reading of Froggy Goes To The Library, one boy said he wished we could sing and dance in storytime like Froggy did [we do movement activities all the time, but don't do as much dancing due to the small space]. I told him we could do that right now, provided that he lead since it was his idea. So he came up front and led them all in a Froggy dance, "Giggle, giggle; gaggle, gaggle. Wiggle, wiggle; waggle waggle." Only it wasn't so much dancing as jumping around flapping their arms and legs and singing the words, but they were so cute and had such a good time doing it! They all really liked the "Alligator" rhyme, loving the element of suprise when the alligator suddenly dived down after the frog and all the motions for the spinning log, splashing water, and swimming frog. Most of them really liked doing the "Five Green and Speckled Frogs", but a couple of groups were very lackluster about it; I'm not sure why. One minor issue with that song is that there are so many variations, some say "five little speckled" instead of "five green and speckled", some say "sat on a speckled log" and some say "sitting", some say "hollow log" instead of "speckled log", that we not all singing the same words all the time, and that threw some people off. But most agreed that they were glad they did not have to eat bugs like frogs do!